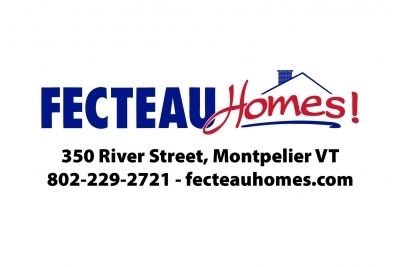 Here at Fecteau Homes, we are a YEAR-ROUND BUILDER. Don’t confuse us with other retailers and builders in Vermont that are seasonal and have a certain cut off date for new construction and site work. We can handle your new construction project ANY time of the year, so moving into your dream home isn’t delayed with the changing seasons. With our factories for single-wide, double-wide, AND modular homes building in as little as 5 weeks and multiple display models currently for sale, we can get you into your new home in a timely manner any time of year! Check out our inventory at the links below or stop by our office to speak with one of our sales consultants.